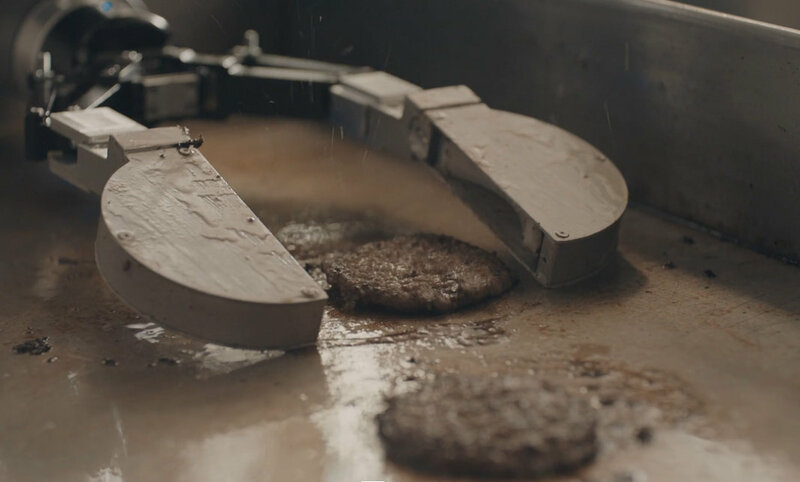 Would your burger taste as delicious if it was made by a robot? You’ll soon be able to find out at CaliBurger restaurants in the US and worldwide. 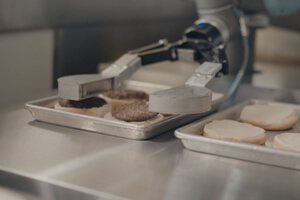 Cali Group partnered with Miso Robotics to develop Flippy the burger robot, which made its debut this week at the Pasadena, California CaliBurger. Miso and Cali Group aren’t calling Flippy a mere robot, though; it’s a robotic kitchen assistant. And it’s not the first of its kind. San Francisco-based Momentum Machines has also been working on a burger bot for a few years. Flippy brings some fresh tech to the table (no pun intended). Whereas in the past a typical assembly line robot (say at a car factory) needed everything lined up perfectly in front of them—precisely and consistently positioned—to do their work, robots like Flippy are using the latest round of machine learning software to locate and identify what’s in front of them and learn from experience. That is, Flippy’s flexibility is a great example of robots becoming more flexible, in general. Miso’s CEO compared Flippy to a self-driving car because of the way both use feedback loops to reach higher levels of performance. Flippy doesn’t look much like how you may imagine a robot either. Its body is a small cart on wheels, and it has no legs and just one arm. The arm’s six axes give it a wide range of motion and allow it to perform multiple functions (as opposed to simply moving up and down or back and forth). There’s an assortment of detachable tools the bot can use to help it cook, including tongs, scrapers, and spatulas, and a pneumatic pump lets it swap one tool for another, rather than a human having to change it out. Combined with its AI software, these tools will allow Flippy to eventually expand its chefdom beyond just burgers—it could learn to make items like chicken or fish. Some of Flippy’s key tasks include pulling raw patties from a stack and placing them on the grill, tracking each burger’s cook time and temperature, and transferring cooked burgers to a plate. Flippy can’t single-handedly take a burger from raw to ready, though. Rather than adding extra ingredients itself, the bot alerts human cooks when it’s time to put cheese on a grilling patty. People also need to add sauce and toppings once the patty is cooked, as well as wrap the burgers that are ready to eat. Reportedly, Momentum Machines is working to include some of these additional burger assembly steps into its system. Sensors on the grill-facing side of the bot take in thermal and 3D data, and multiple cameras help Flippy ‘see’ its surroundings. The bot knows how many burgers it should be cooking at any given time thanks to a system that digitally sends tickets back to the kitchen from the restaurant’s counter. Two of the bot’s most appealing features for restaurateurs are its compactness and adaptability—it can be installed in front of or next to any standard grill or fryer, which means restaurants can start using Flippy without having to expand or reconfigure their kitchens. CaliBurger has committed to using Flippy in at least 50 of its restaurants worldwide over the next two years. What does this mean for the chain’s current line cooks, and for the future of low-skilled jobs in the restaurant industry? As more restaurant operations become automated, demand for low-skilled jobs like line cooks will decline, but there may be a jump in demand for high-skilled workers like engineers. Even if the number of total jobs stays more or less stable, though, it will be difficult to bridge the resulting skills gap. One possible solution is for the same companies whose technology is eliminating jobs to invest resources in retraining displaced workers to fill newly created jobs that may require different skills. Meanwhile, robot-made burgers may bring benefits both to consumers and to the restaurant industry; money saved on wages can be applied to sourcing better-quality ingredients, for example, and having machines take over a kitchen’s most hazardous tasks will improve overall safety and efficiency. 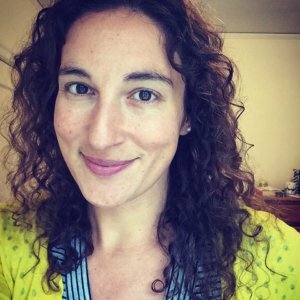 Vanessa is senior editor of Singularity Hub. She's interested in renewable energy, health and medicine, international development, and countless other topics. When she's not reading or writing you can usually find her outdoors, in water, or on a plane.